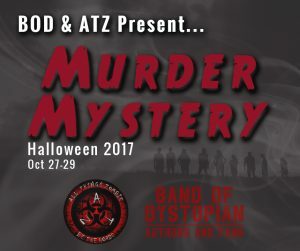 Band of Dystopian Authors and Fans is teaming up with our friends at All Things Zombie to bring you a brand new event, Murder Mystery! This is one event in two locations! Along with a murder mystery game for a grand prize, each author will post clues about the murder as well as a giveaway you can enter on the their page. A murder most foul has been committed. The suspects have been rounded up, but the villain is yet to be revealed. They all have skeletons in their closets… some quite literally. Prepare yourself to be immersed in an event of treachery, intrigue, backstabbing and laugh out loud fun. Come join us… if you dare!!!! The Suspects will post links on the thread to their posts which will include their story and clues about the murder, as well as a giveaway you can enter right there on their page! After all of the suspects have posted (8 in total), you can submit ONE guess to either Cheer Stephenson-Papworth of BOD or Jeffrey Clare of ATZ via a private message. Your guess must include the killer and the motive! And remember, you only get ONE guess, so wait until you’ve seen all the clues to submit your guess. All participants who guess correctly will be sent a link to a grand prize Rafflecopter! 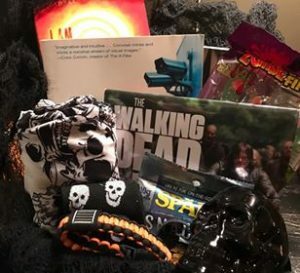 A book box filled with miscellaneous goodies and swag! And there will be TWO winners. Zachary is a bow tie wearing, formal vest rocking, pocket watch using, sarcastic monster of a writer. Currently residing in Orlando, Florida, he spends his days working, writing and procrastinating. 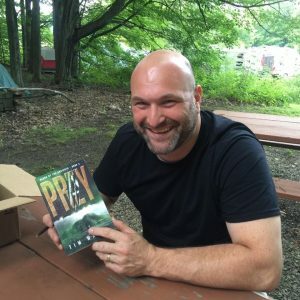 Zach is the author of the Gabrielle series, a young adult fantasy with a paranormal-historical-time traveling twist (try saying that five times fast) and is currently just completing his first Steampunk work, Webley and the World Machine. Sarah Lyons Fleming is a Laura Ingalls devotee, wannabe prepper, and lover of anything pre-apocalyptic, apocalyptic and post-apocalyptic—or anything in between. Add some romance and humor, and she’s in heaven. 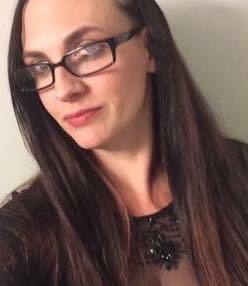 Besides an unhealthy obsession with home-canned food and Bug Out Bag equipment, she loves books, making artsy stuff, and laughing her arse off.Born and raised in Brooklyn, NY, she now lives in Oregon with her family and, in her opinion, not nearly enough supplies for the zombie apocalypse. But she’s working on it. Tim A. Majka teaches high school social studies, along the shores of Lake Erie, in his hometown of Dunkirk, NY. He resides there with his best friend and bride, Bridget, their college-age sons, Jacob and Alex, and two rescue cats: Stanley and Corky. He is hard at work molding the minds of America’s youth, as well as, writing book two of the Blood of the Ancients series. 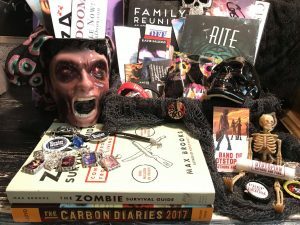 Aria Michaels is the bestselling author of The Icarus Series, an apocalyptic horror saga, as well as a contributor to the Mrs. Dracula Anthology, ATZ’s Chronology of the Apocalypse and Tricks, Treats, and Zombies, and Select Bites. Aria is an avid reader, die-hard zombie fan, and enthusiastic lover of bonfires and red wine. 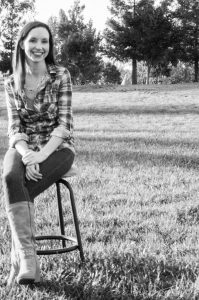 When she is not glued to her computer pouring out the voices in her head, this busy single mom can be found playing in the dirt with her boys, painting, or binge-watching The Walking Dead. Aria is currently hard at work on her next great horror story and reveling in her role as instigator of literary mayhem and stealth assassin of fictional characters. A veteran of both the Iraq and Afghanistan war, Brian Parker was born and raised as an Army brat. He moved all over the country as a child before his father retired from the service and they settled in a small Missouri town where the family purchased a farm. It was on the farm that he learned the rewards of a hard day’s work and enjoyed the escapism that books could provide. 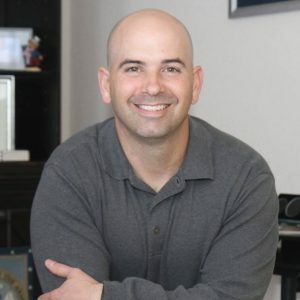 He’s currently an Active Duty Army soldier who enjoys spending time with his family in Texas, hiking, obstacle course racing, writing and Texas Longhorns football. His wife is also an Active Duty soldier and the pairing brings its own unique set of circumstances that keep both of them on their toes. He’s an unashamed Star Wars fan, but prefers to disregard the entire Episode I and II debacle. Brian self-published four books before signing a 4-book contract with Permuted Press. His novels GNASH and Enduring Armageddon were previously self-published and will be re-released by Permuted beginning in May 2015 along with two previously unpublished works, REND and SEVER. 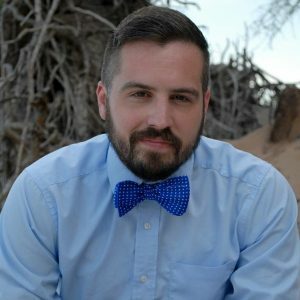 He is also the author of The Collective Protocol, a paranormal thriller that shows how far people will go to gain power; Zombie in the Basement is a children’s picture book written to help children overcome the perceived stigma of being different than others; and his how-to guide Self-Publishing the Hard Way is for writers looking for pointers to self-publish their manuscript. 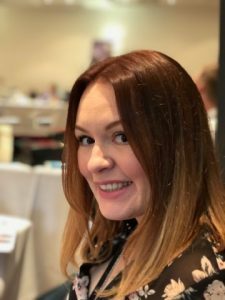 Claire lives in the United Kingdom with her husband and three daughters. She believes that cupcakes, rum and bathroom rap battles are the solution to most of life’s problems. Lindy Spencer currently lives in Oklahoma with her superhero family — Amazing Husband and Super Smart Dog. The kids have grown and flown, creating families of their own. When she’s not writing, she can be found curled up at home reading, spending quality time with the kids and grands, or out with Amazing Husband riding motorcycles and shooting things with a Canon. 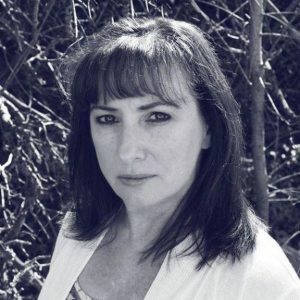 When she is writing, under her own name Lindy enjoys creating suspenseful and psychologically thrilling works for older readers, in addition to short stories in the zombie genre that are comedic by nature. Under her pen name, MaeMae Spencer, she also writes chapter books for the 6-11 age group about Spinne the Spider, who was born with six legs but doesn’t let her disability disable her. Spinne goes on adventures, encounters more serious topics including bullying, and learns the lessons that parents are teaching their littlies. Head on over to her website for a peek at her books or to drop her an email. She can also be found on Facebook and Twitter. Stop by and say hi – she’d love to hear from you! Jaci Wheeler lives in the Central Valley of California with her husband and two precious kids. Her love of literature began in Jr. High when she was introduced to Lowis Lowry’s books. 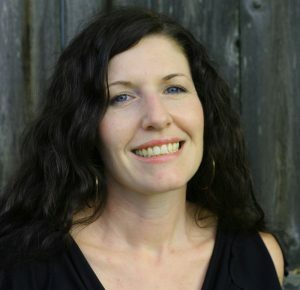 Since then she has had a passion for writing Young Adult books, and creating strong female leads. When she’s not writing, she is advocating for Autism Awareness and involved in the deaf community.